As anyone who has ever stepped foot into a barn knows well, riding, handling, and caring for a horse is no easy task. Learning how to correctly tie knots can make things easier, but with more than four thousand different types of knots out there, the choices can be overwhelming. 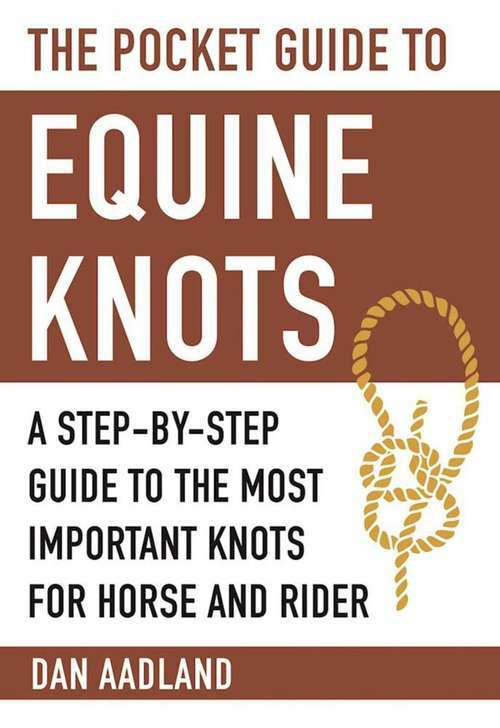 Experienced trainer and breeder Dan Aadland is here to help with The Pocket Guide to Equine Knots, a compact guidebook filled with only the most useful and practical knots for dealing with horses. Here, you’ll learn to recognize a “good” knot—a knot that holds but can be untied after pressure. You’ll look into the world of hitches (systems for packing items onto a horse) and splices (useful ways of joining ropes and creating loops). And you’ll learn step-by-step how to properly tie dozens of different knots, including:Square knotBowknotHitchAnd many moreSo whether you’re an experienced rider or you’re about to head out on the trail for the first time, The Pocket Guide to Equine Knots is guaranteed to help you as you ride off towards your next adventure.